Moms will receive FREE admission and FREE Lunch when accompanied by a paid child’s ticket purchased at Canobie Lake Park on Mother’s Day, Sunday, May 10, 2015. Note: Paying child ticket must be purchased at the Park on Sunday, May 10th. This special is not valid with pre-paid tickets. “Child Admission” may be either our under 48″ ticket or our over 48″ ticket. May not be combined with any other special, discount or promotion. Show mom a wild time at the Zoo this Mother’s Day! Moms will enjoy free admission when attending with a paying child. Free admission and a special gift just for moms (while supplies last) on Mother’s Day at Old Sturbridge Village and enter a giveaway to win a Village-made tea set. Pamper mom with a complimentary massage AND kids bring your mom FREE! (Massages available 11-3 based on availability). On Mothers Day, moms enjoy free admission! Help us celebrate your mom (and all of ours!) this Mother’s Day with FREE ADMISSION for all mothers throughout the day. Bring Mom along with the entire family for a memorable day spent discovering the incredible animals at the Zoo! And be sure to look for the animal Moms at the Zoo, too! 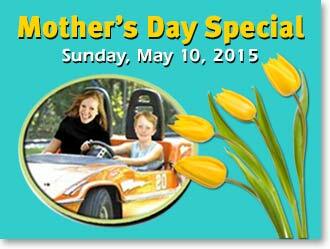 We are showing our appreciation by offering moms 1/2 priced general admission this weekend. All Moms get up to 8oz free frozen yogurt this Mother’s Day!